Here in beautiful Northeast Florida, we are surrounded by water. The Atlantic Ocean, the St. Johns River and the Intracoastal Waterway embrace this bold city. There are so many opportunities to be in, beside or underwater. With the almost year-round pleasant weather, watery fun isn’t confined to just summertime. Some water activities are obvious. Swimming, boating and surfing immediately come to mind, but others are more obscure. Those who seek adventure, excitement and adrenaline, as well as folks who would rather enjoy serenity by the sea can all find something to do by the water in Jacksonville. Last summer, one of the contestants on “America’s Got Talent” made it to the quarterfinals demonstrating his skill in flyboarding. Flyboarding looks like skateboarding on water with a jetpack strapped to your board. Talented flyboarders can perform acrobatic feats and even dive under the water. If you’ve seen this extreme sport on TV and wanted to try it, you now have an opportunity to learn flyboarding here in the 904. In Saint Augustine, Extreme Water Adventures offers a beginners class in flyboarding for $99. Husband and wife team Jason and Julia Jones claim they can get you on a board and flying over the water in no time. An instructor controls the height of your flight at 5 to 15 feet in the air. You can even bring up to 4 friends with you on the boat to watch you fly. Stand Up Paddleboaring has become a very popular activity in the ocean and waterways in Northeast Florida. If you’ve seen others doing it, and wanted to try it out but didn’t know how, there are many local instructors offering classes for beginners. 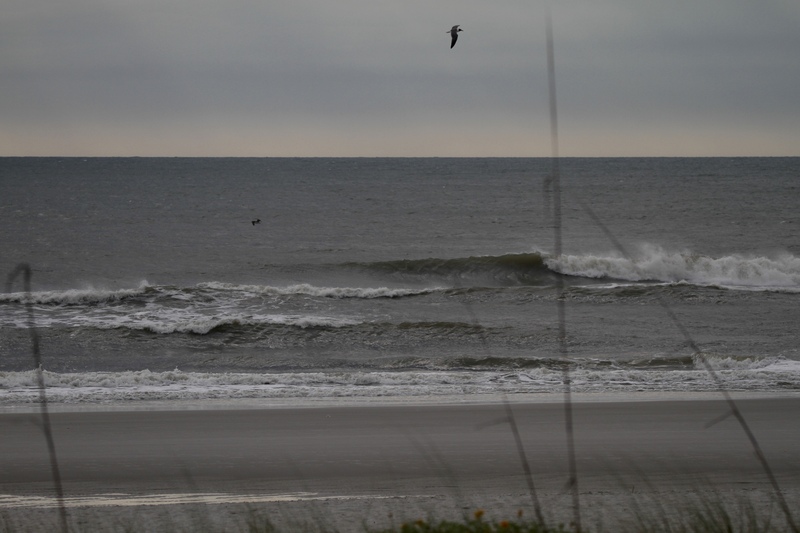 Jax Surf Training offers private and group surfing, SUP, and fitness classes at the beach or on the Intracoastal Waterway. They offer a money-back guarantee that their certified instructors will have you up and paddling in one lesson. The beginner lesson teaches basic skills, like board handling, water entry, standing up, paddling and turning. A 90-minute SUP lesson will cost you $75, or you can purchase gift certificates or packages of 5 to 10 lessons. Check out www.jacksonvillesurfandpaddle.com for more information or to make a reservation. Instead of watching Rodney Yee do yoga on a beach in Maui, why not enjoy our own sandy shore for your next yoga practice? Check Meetup.com to find a local oceanfront yoga class. Every year before the Never Quit 5K, the race organizers hold a free oceanfront yoga class. Last year, they attempted to achieve the world record for the largest beachside yoga event. Seawalk Pavilion hosts year-round concerts and events beside the ocean in Jacksonville Beach. Try a wide variety of local dining fare at the Flavor of Jacksonville charity dining event and watch the Blue Angels soar over the sea in the Jacksonville Sea and Sky Spectacular. Monthly events take place here in Latham Plaza as well, including the Jacksonville Beach Art Walk and the Classic Car Cruise. Take advantage of Jacksonville’s prime location on the water by trying out a new water activity or enjoying a waterfront event this year.